1. Heat 2 tablespoons of olive oil in a frying pan, add shallots and cook over a low heat for 5 mins until soft. Increase the heat and add the oregano and breadcrumbs and cook for 5 mins or until the breadcrumbs are nice and golden. Add the lemon zest and paprika and season with sea salt. Leave to cool. 2. Place 1 teaspoon of your cooled stuffing mixture into the belly cavity of the fish. Place on a well oiled tray and scatter with any remaining stuffing mixture. Drizzle with olive oil and place under the grill for 5-7 mins until just cooked through. 3. 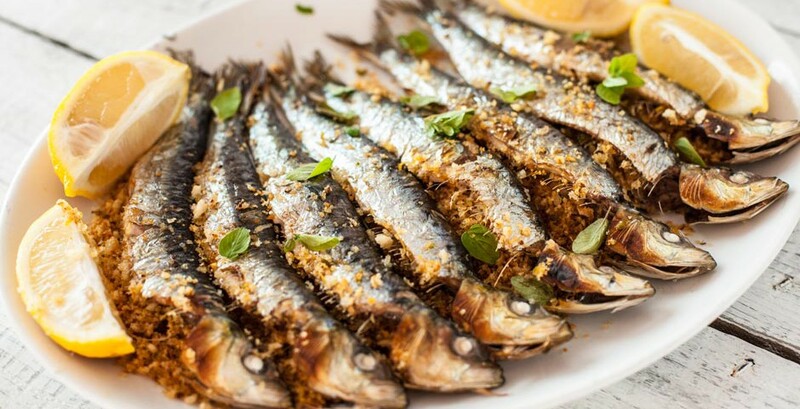 Serve sardines at room temperature with crusty bread and lemon wedges. Ideal as part of a tapas selection.